When I talk to business owners about their marketing, the conversation usually gravitates to a discussion about their website. It’s only natural. 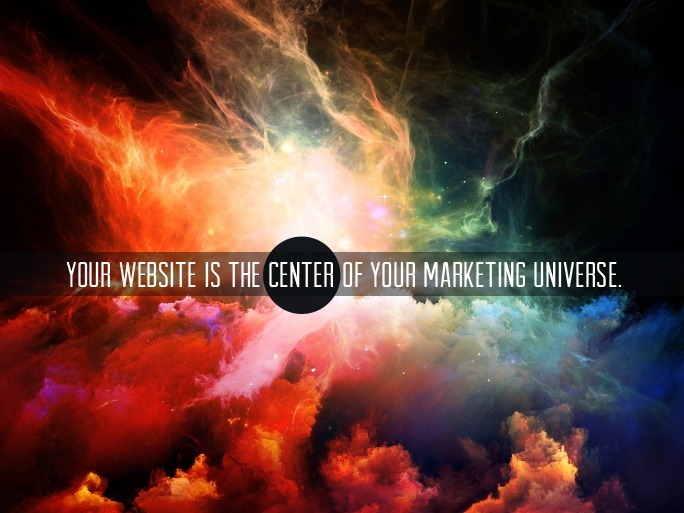 Your website is the center of your marketing universe. “We’re keepin’ busy, so we don't really need a new website.” But marketing is not about finding customers for TODAY. It’s about finding customers for TOMORROW. Tomorrow’s customers are looking at your website right now and making decisions about whether or not they want to buy from you in the future. This is especially true with younger buyers, who make judgments about your company in an instant — all based on their initial web experience. Do you really want to risk losing their business forever simply because your website is outdated? You can't afford to take that chance. “Our site provides all the information a customer would need.” The idea that you should use your company website to simply “push information out” to people has come and gone. Customers now expect to be ENGAGED by your website and they want to be able to INTERACT with it to gain immediate information and achieve their shopping objectives. Static websites are no longer effective. Your website needs to be RESPONSIVE and allow your customers to leave a comment, to request more information, and to easily find and get exactly what they want — right when they want it. Does your site do that? “In our industry, our website is fine. It’s as good as our competition's site.” Do you really want to be as good as your competition — or do you want to be BETTER? You have an opportunity to break out of the pack and set your company apart by embracing new technologies that can create a visually compelling website for you, rich with content and information that visibly establishes you as a leader in your industry 24 hours a day. You can leverage cool new technologies to integrate your website with social media platforms to change the way customers view your company. Show ’em you’re in the know and that you're striving to truly connect with your customers, and they’ll choose your vibrant company over a stale competitor any day. Appearances really do matter. If your website is more than 2 years old, it's likely not good enough anymore. There’s a new type of website approach that guarantees longevity because it revolves around dynamic content. I mean, do you really want to re-do your website every 2 years? (I didn’t think so.) Do your research and click here to learn if a dynamic website is a good fit for your company. P.S. For more information on how to start bringing your website “up to speed,” read Does Your Website Achieve Your Business Goals? and Content Marketing Without a Blog.